Off late, the habit took a backseat as I found a large variety of brands promising you sly in the name of soap bars with very few making to the elite list. I was happy using my Dove, Fiama Di Willis, Liril, Bodyshop, Peers of the world and occasionally would indulge in deep soaking experience of my Revlon shower gel. The explorer in me refused to take laid-back approach and when I first spotted the Brand Khadi, I knew this was going to be my next pick. 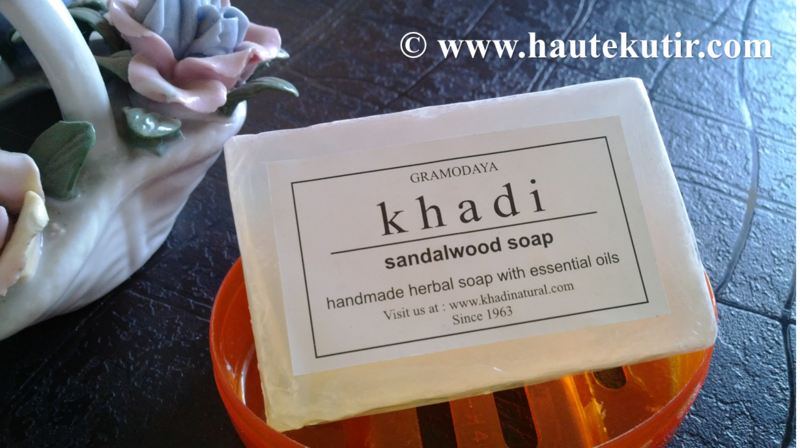 It was the time I was hooked to shopping from Flipkart and in one of my contest winning haul, I included some soap bars from Khadi including the one in Sandalwood variant. The handmade herbal soap came in a translucent pale white color. I liked the see through wrapping and minimal design. 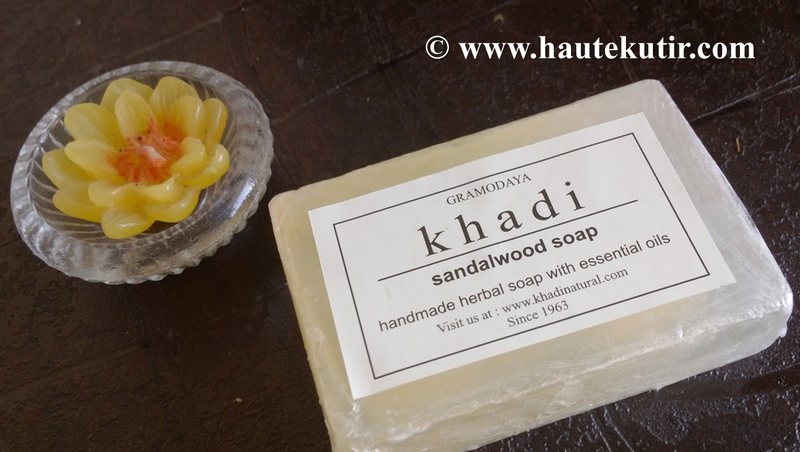 Priced at Rs 60, the Khadi Sandalwood soap is a sheer delight to use. It was mild and lathers soon. The mild sandal like smell was pleasant to bath with it and filled my shower area with lingering smell, during and after the shower. I did not find the soap harsh at all and neither did it dried my skin. The soap truly lived to its expectation and unlike many other soap, I didn't discarded it in between. Haute Kutir Verdict: If you are a sandal wood fan, then this soap is a must try. Unlike Moti soap, it doesn't leave harshness while foaming. It is mild to use and lasts sufficiently. The post bath aroma leaves you happy and at Rs 60, it is not a bad deal. In fact much better than many other high branded, high priced products. I am a sandalwood fan and the price is also reasonable. Will suggest it to my mom, hope it is available in Chandigarh.